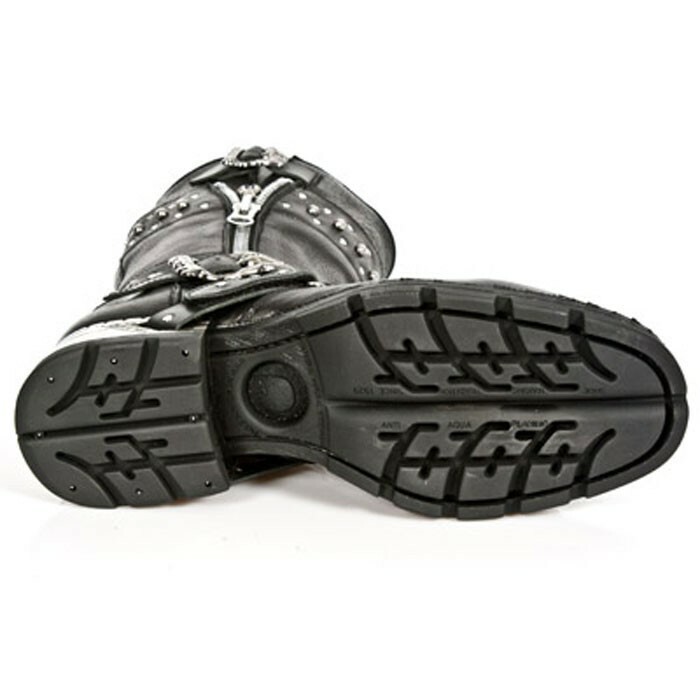 and a strong sole with reliable grip. 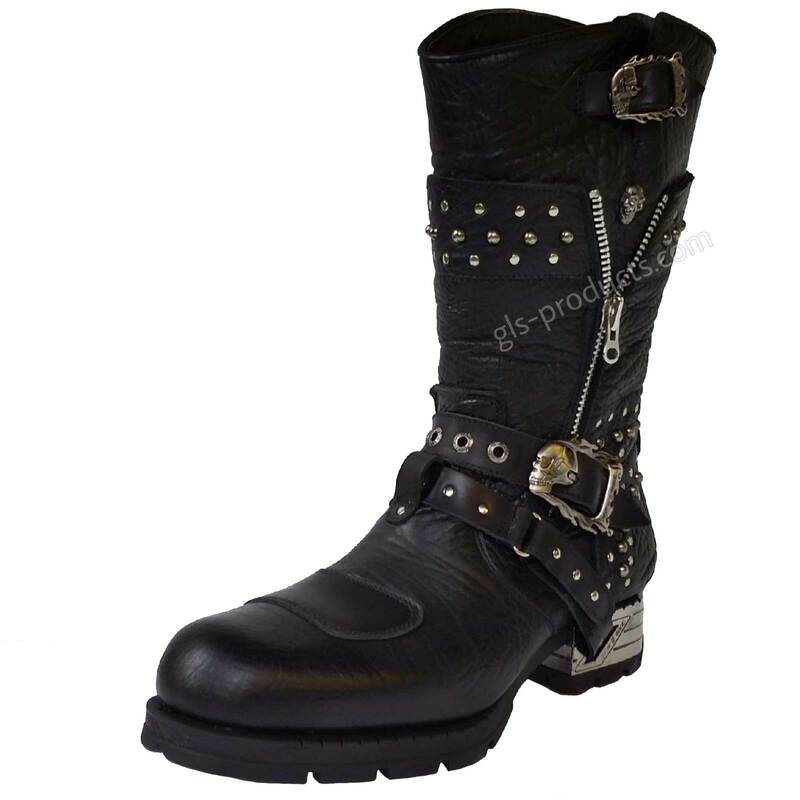 At first glance they seem more aesthetic than practical, however after just a short breaking-in period you will see that they are comfortable, sturdy and most of all quite unique. 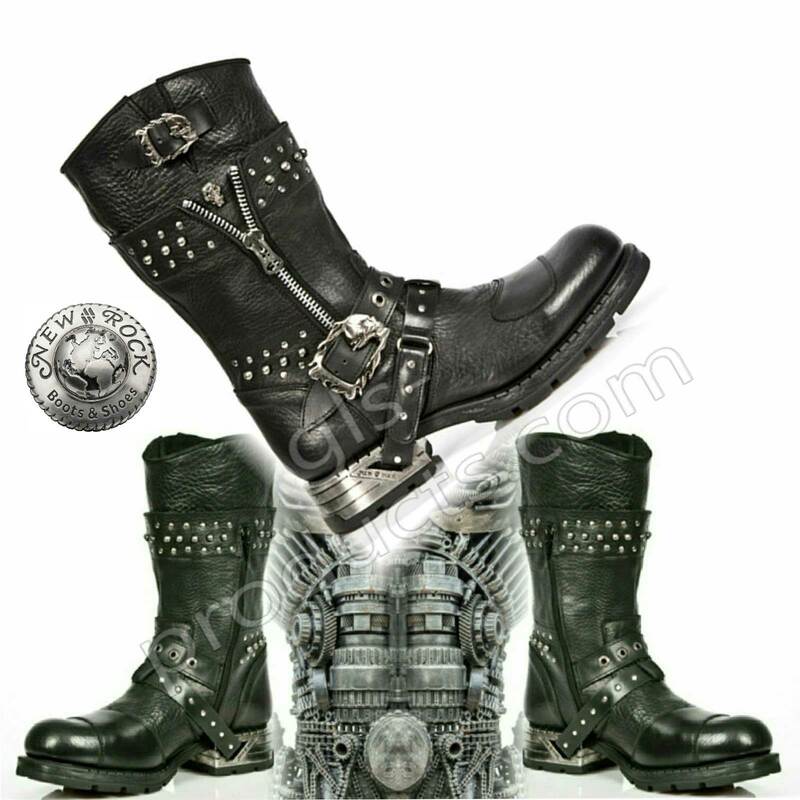 zip fastening to ensure they are easy to put on and take off and a strong sole with reliable grip - genuine biker boots. 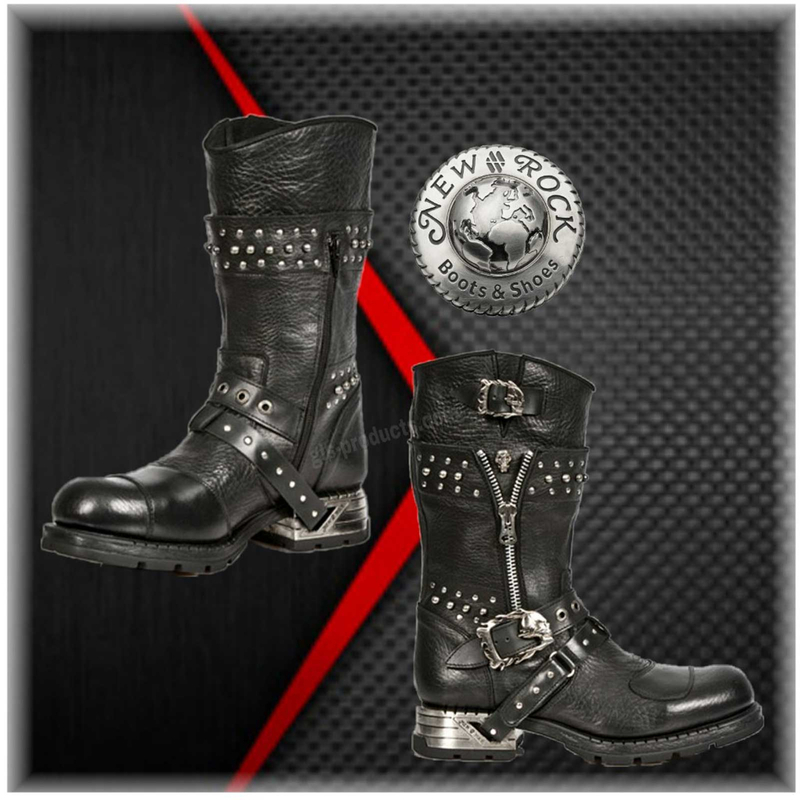 The more smoothly profiled outsole and lack of a steel toecap means you won’t have any problems getting your boot under the gear-shift. 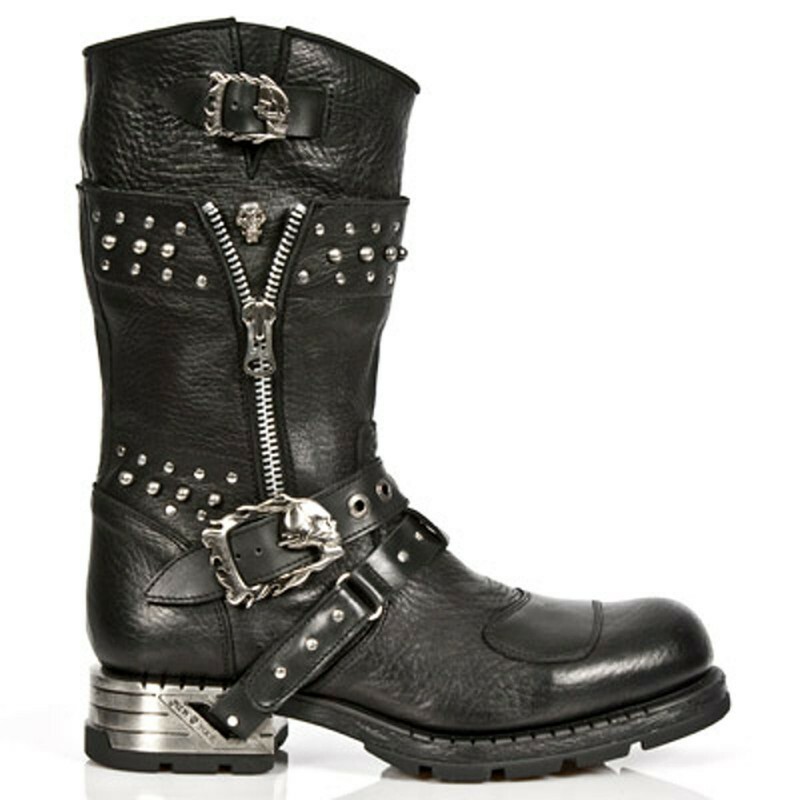 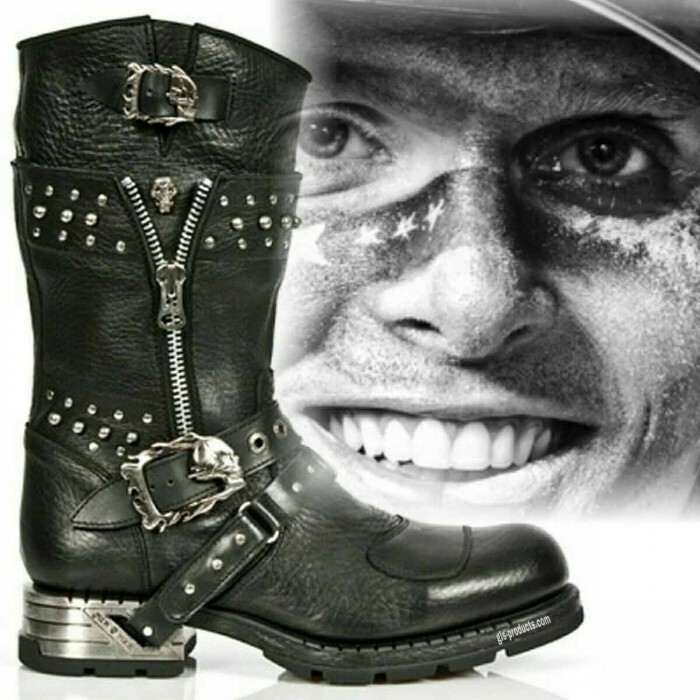 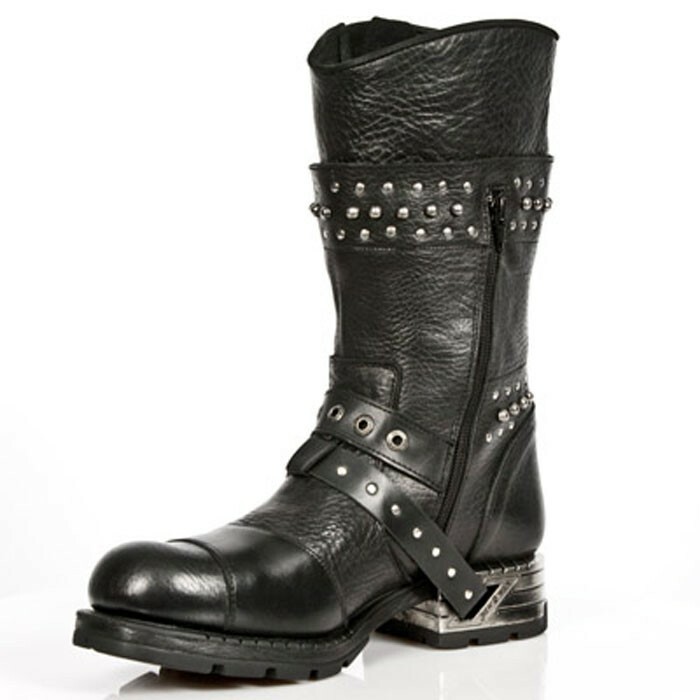 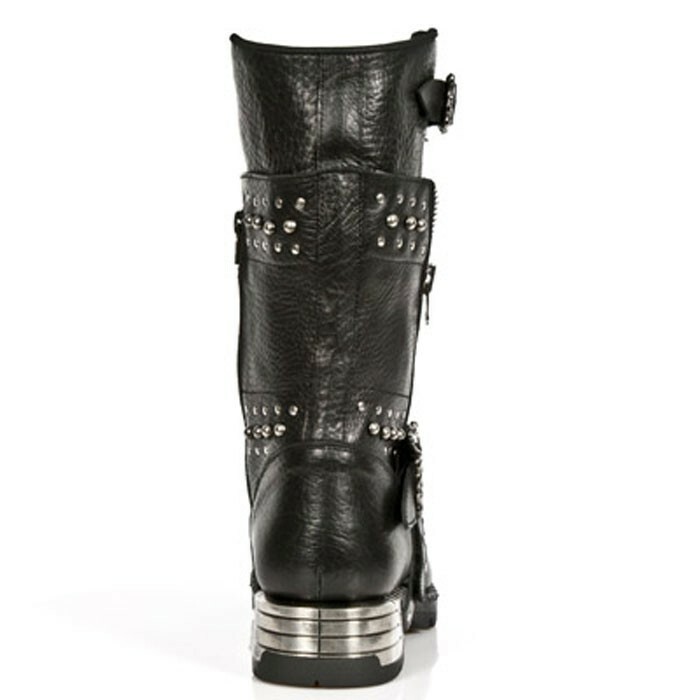 There is currently no rating submitted for New Rock Engineer Boots MR022 with studs and zippers.